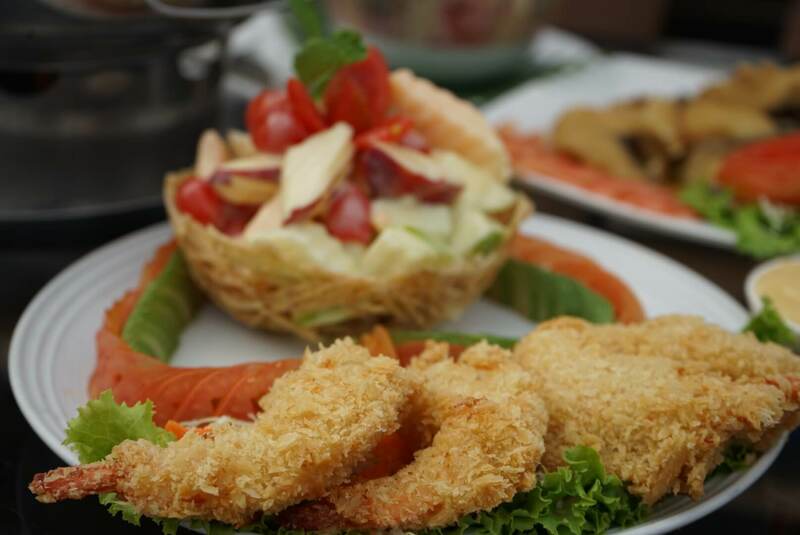 Home Featured	Restaurant Kanchanaburi : Dejtosapak, A must try. Restaurant Kanchanaburi : Dejtosapak, A must try. 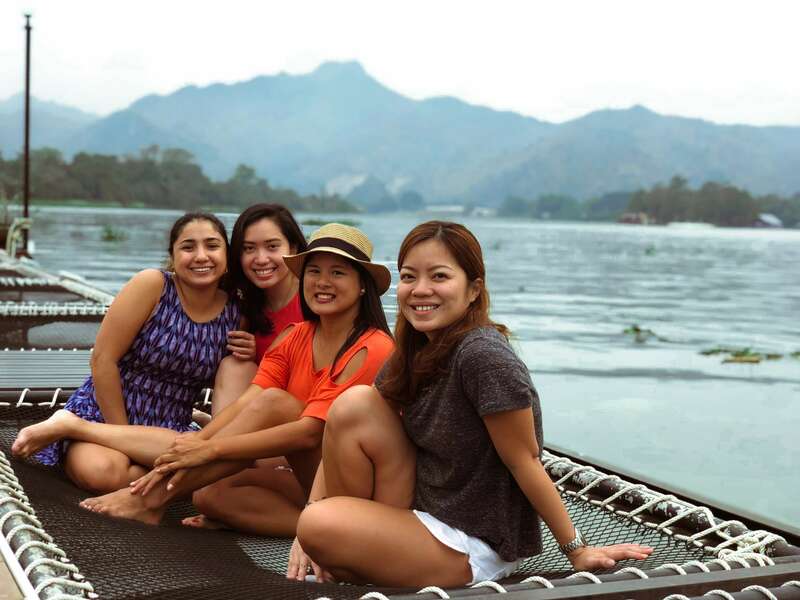 Kanchanaburi is a province located west of Bangkok and is well-known for the infamous World War II Death Railway. It is approximately 2 to 3 hours away from Bangkok via bus or a motorbike ride called “mo chit 2”. It’s quite farther from Pattaya, approximately 5 hours of travel time with only two buses leaving every day. Its capital city of the same name is located in the convergence of two rivers, the Kwai Noi River and Kwa Yai River. 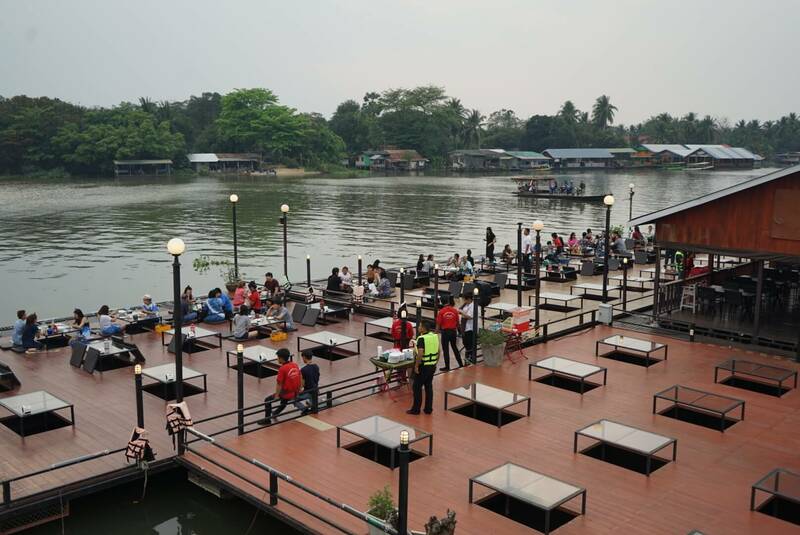 This location of the Kanchanaburi allows the thriving of many floating and riverside restaurants along the riverbanks, one of these is Dejtosapak. 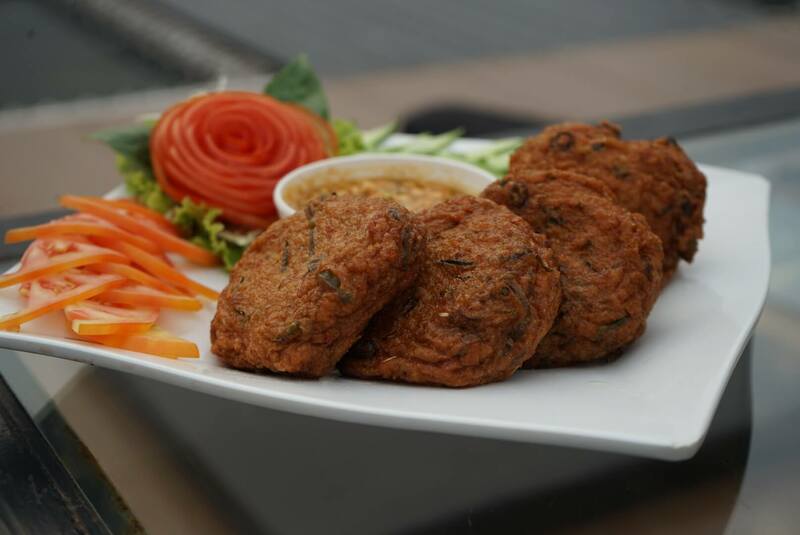 Dejtosapak Restaurant in Ban Tai, Mueang Kanchanaburi District combines these distinctive qualities of Thailand. Peaceful, quiet, and soothing are understatement when trying to describe this place. 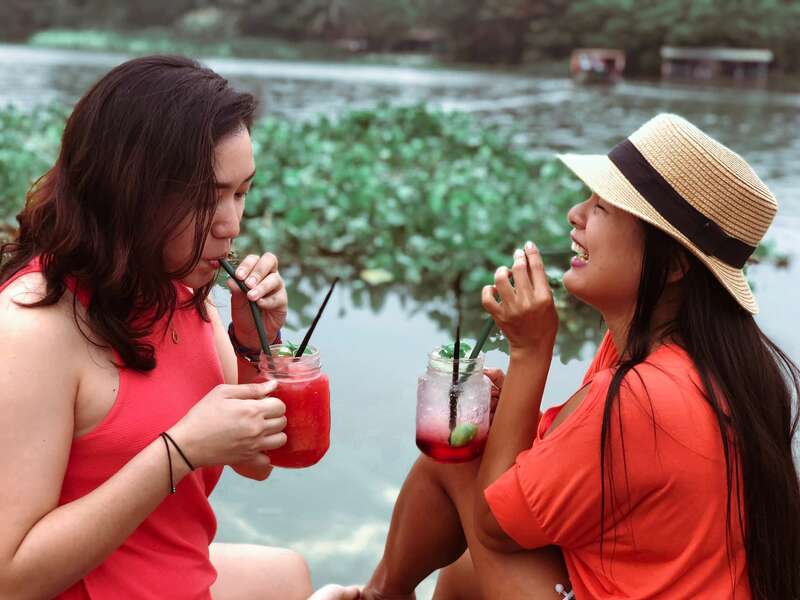 It is surrounded by river, greeneries, and mountains, this open-air restaurant will surely satisfy your gastronomic cravings and will make your dining experience an unforgettable one. Tables are well-organized and well-spaced from each other. The rustic wooden motif of the restaurant complements well with the atmosphere. 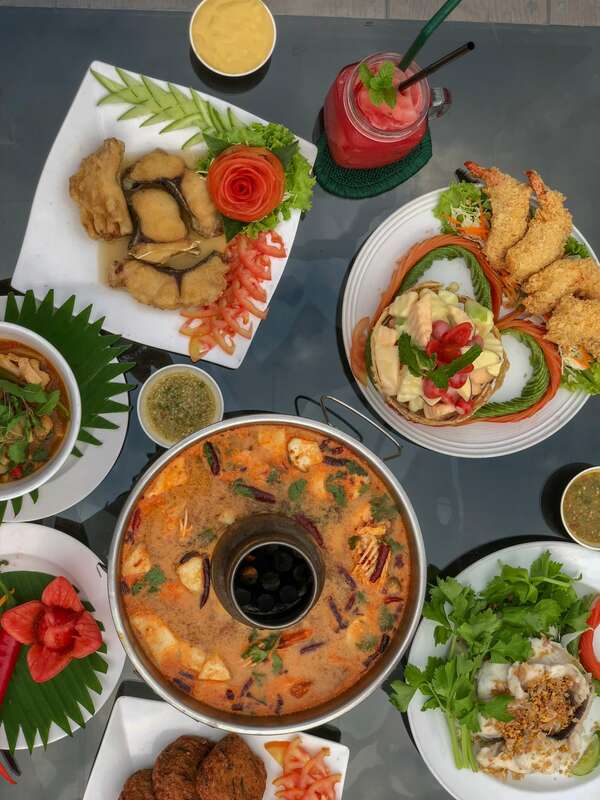 And probably the best thing about this restaurant is the open space under each dining table where you can dangle your feet in the water while eating or watch the fishes swim by as you enjoy yourself with authentic Thai cuisine. For the food, Dejtosapak has a policy that you wouldn’t need to pay if the food served are not fresh. 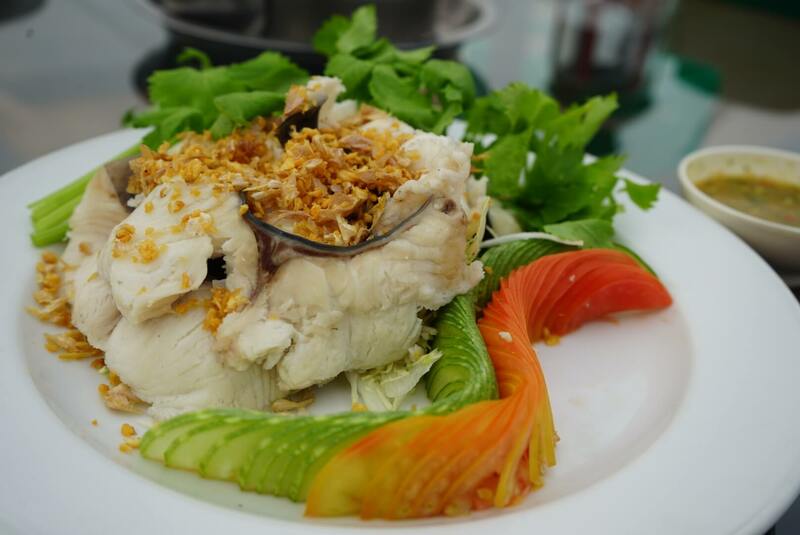 Most of their offerings are mainly seafood dishes. 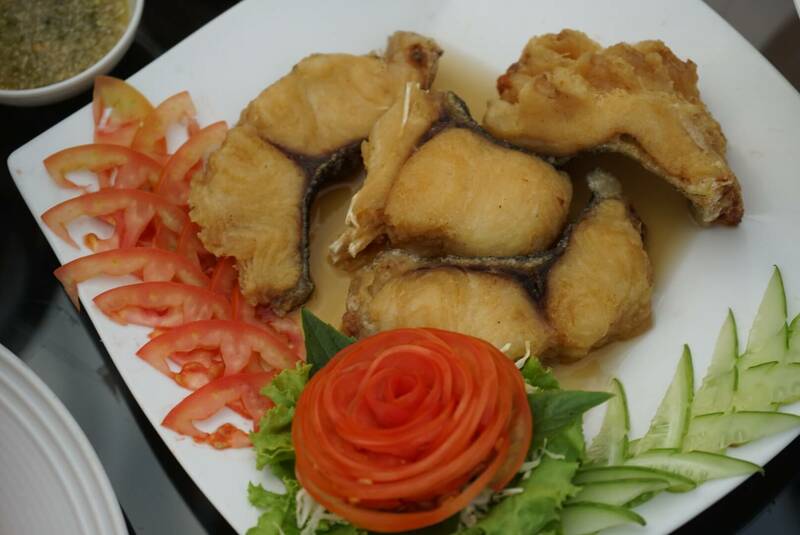 We tried both of their Fried Cat Fish and Steamed Cat Fish, and not only they are truly fresh but they are so good. I liked the fried one the most because it was crispy but you could still feel how soft and tasty the fish is. The steamed one also comes with fish sauce which greatly compliments it. We had their Chicken Curry as Thai Curry is said to be one of the best Curry renditions, and we are absolutely not wrong about it. Their love for spices and complex flavors is very evident in this dish as well as the attention to its presentation, not only does it looked great but it also tasted so good. We also tried their Tom Yam Goong which is a type of hot and sour Thai soup. Its name is derived from tom which means the boiling process and yam which refers to Thai spicy and sour salad. 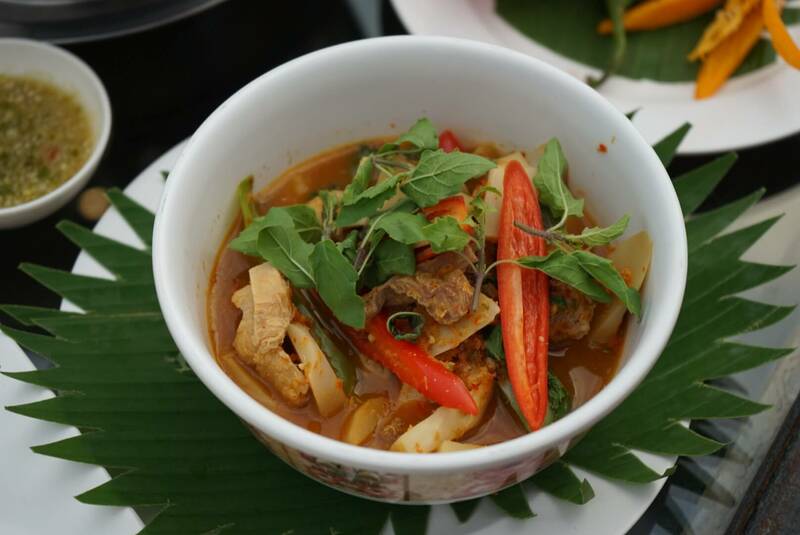 It’s usually cooked with prawns or shrimp and flavored with kafir lime, lemon grass, and chili peppers. This was one was really good and is a perfect dish to savor on a dinner when the cold breeze starts to blow. And finally, we tried the Fish Cake which is made of fish meat, probably cat fish also, and flavored with sweet chili sauce, fish sauce, coriander, etc. and then mixed with flour and egg then deep-fried. It also comes with a sauce that highlights and brings out more of the flavors of the dish. Price ranges from 250 to 500 Baht or approximately US$7 to 15. With its scenic and breathtaking view, we suggest to dine there at sunset where the view turns into a majestic scene. The water reflects the golden yellow rays of the setting sun giving a more dramatic ambiance. The place also lights up at night which attracts the fishes in the water and you could actually watch them swim under the tables. There are also hammocks available on the side where you can relax and enjoy the view while waiting for your order or after a sumptuous meal.